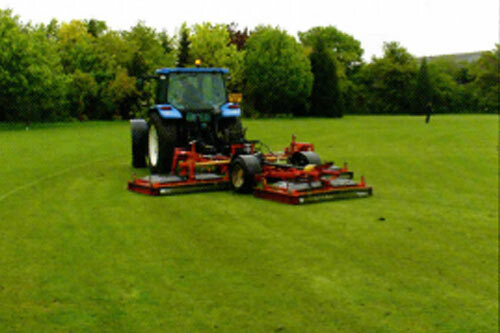 We offer a variety of packages for schools dependant on requirements including grass cutting, pitch marking, hedge cutting, pesticide applications, shrub pruning and winter salting. We can also carry out one off jobs. For example we recently revamped a large overgrown area at Etherley Lane school in Bishop Auckland removing dead trees and pruning others back, turning the area into a woodland garden with new footpaths designed to attract wildlife. We carry out sports pitch maintenance for a variety of clubs from Northern League to local pub league level to youth football league. 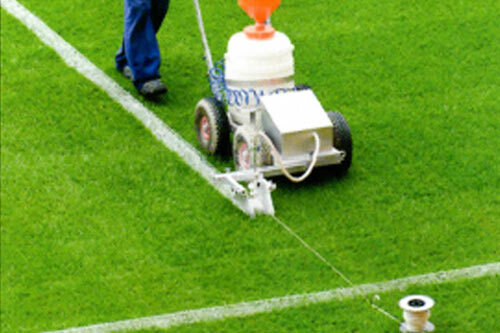 This includes a full package of gang mowing, pitch marking, fertilising, aeration etc or in some cases just cutting. Each client is different. Please contact us for more information and we will do our best to help. We cover most of the Northeast & North Yorkshire including the areas below. Our client base includes Local Councils, Schools, Colleges, Industrial Estates, Retail Parks, Supermarkets, Local Industry, Housing Associations, Estate Agents and Private Dwellings. The list demonstrates that we are capable of carrying out works for clients large or small. 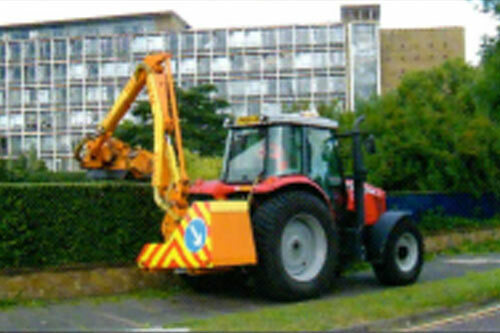 "Durham county council have employed the services of SE Landscaping on a number of schemes over the last 5 years. Their work is of a very high standard and Scott's knowledge of the industry and his ability to help us out with ideas for schemes is a great benefit to us. I have already recommended SE Landscaping to colleagues who are also pleased with their work." "SE Landscaping maintains our premises on Aycliffe industrial estate and has done for over 4 years. As well as saving us a vast amount of money from our previous contractor the service has also been of a higher standard and Scott keeps in regular contact with us to check everything is going ok with their work. Great customer service from a great company "
"SE Landscaping won the contract to maintain our premises after a competitive tender process. We were a bit apprehensive at first as they were considerably cheaper than what our outgoing contractor was charging. However after 3 years of working on our site the service has been great. Scott has also come up with ideas to improve the sites appearance which the management were impressed with. "